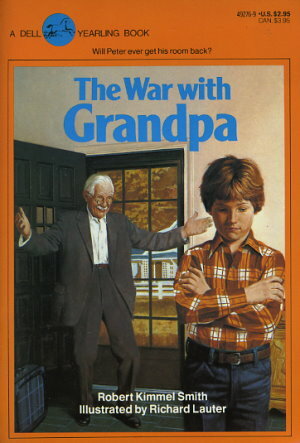 I think Peter is starting to feel bad for grandpa and sad that he started the whole war. Peter is starting to realize that his grandpa is a great guy. He is also realizing that it’s not grandpas fault that he took Peters room. I think he’s realizing all of this because he’s having a great time with his grandpa going fishing and grandpa is being so nice to him. I think he is also remembering when he was little and that he played with his grandpa all the time. He’s remembering how much fun they used to have together. Maybe he’s thinking that the war is a bad idea because he wants to have fun and play like he and his grandpa used to. It’s a brand new school year! I’m exited but also nervous. I am nervous because I just moved from New York City to Scarsdale. We are learning a lot of new things. My teacher is kind and funny but I miss my friends from my old school. I’ve made a lot of new friends at school. I’m starting to like Scarsdale.